Building on the FlySky iA6B, FlySky are now providing a 10 channel version of the receiver called the FS-iA10B. 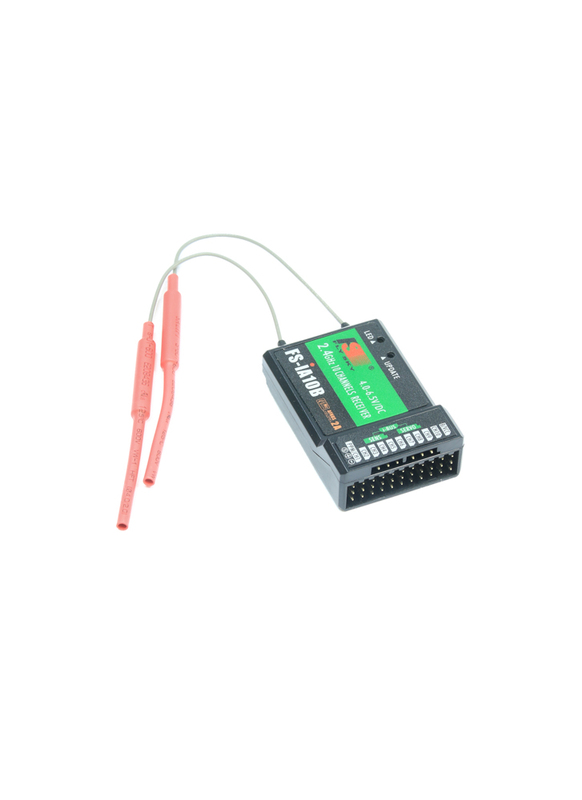 Like the FS-iA6B, the iA10B is capable of iBUS, SBUS, PPM and PWM for enhanced control. The advantage of PPM / SBUS over traditional PWM channels is that you only need to use one signal wire, rather than one for each PWM channel - hence for PPM compatible flight controllers such as the Naze32, the wiring is greatly simplified. 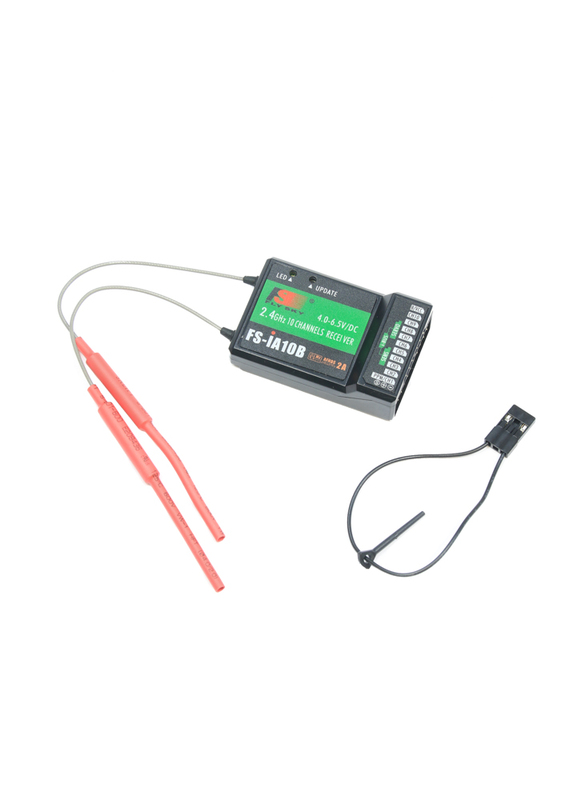 Furthermore, with the optional telemetry sensors, you can expand the receiver's compatibility to monitor flight battery voltage and even things like motor RPM. This full 10 channel receiver works for most models and is considered a "full range" so it can handle larger models as well as the smaller ones. Dual antennas give the FS-iA10B for unparalleled reception (reported at well over 1km) and interference rejection capability. For best results, makes sure the antennas are set at a 90 degree angle from each other. The FS-iA10B is slightly larger than the FS-iA6B (see product pic), but it's still compact and it features end-on connectors to enable a neat installation in tight spaces. NOTE: This is identical to the Turnigy branded model of this receiver, the Turnigy IA10B V2. They are manufactured by Flysky and re-branded for Turnigy. hi could you tell me if the aerial leads can be extented and if so how to do it.? Sorry, they can't be extended.